Our favorite time of the year officially begins! New York Fashion Week not only dazzles our eyes on the podiums but also streets are so effective in determining the styles of this year. When we look at the showgoers in the streets of New York in Fashion Week, we get a lot of styling ideas for spring 2019. Fashion Week streets have shown us how summer pieces can be mixed masterly with fall trends like suiting, animal prints, and plaids. 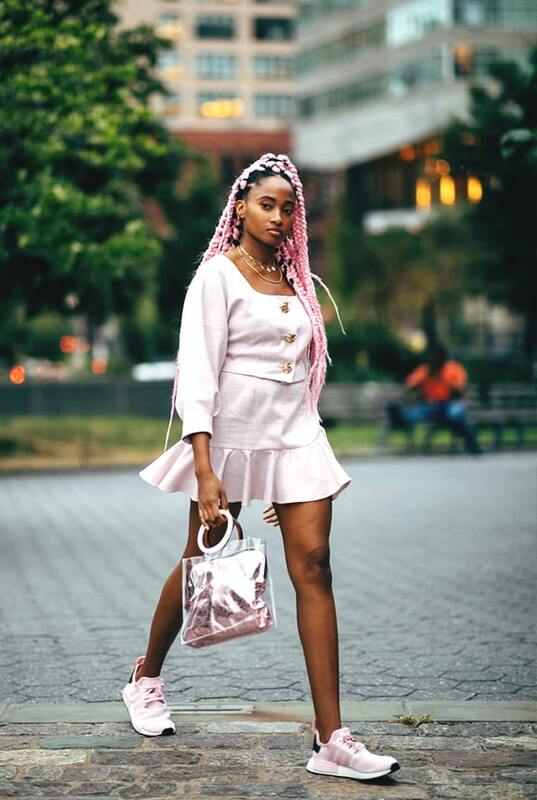 Wearing your summer clothes in fall sounds pretty unusual, but you will immediately change your mind after seeing these fashionable NYFW street stylings. 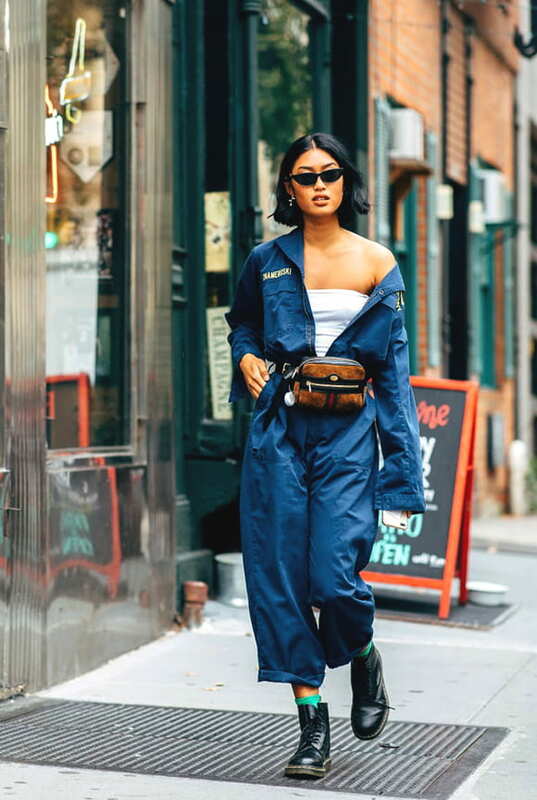 Herein, check out the Top 10 The Best Spring 2019 Street Style Trends From New York Fashion Week 2018 that we chose for you to upgrade your next outfits in the best way. Who says wearing leopard print top to bottom is too out of style? We are welcoming the animal prints to our styles in Spring 2019. Leopard print is at the top of the “IT” list as we see lots of them on the street in NYFW. Some prefer to use it as an accessory while others try it in their entire outfit. It’s up to your style how to show-off with it. We can’t get our eyes out of blazer jackets that seem to be among the must-have ones in spring 2019. Blazer jackets can be combined in a variety of styles such as a dress, waist-tie, and monochrome style. Monochrome look strikes again! This year we see the monochrome trend everywhere. You can keep up with the monochrome trend with any color and pattern. Just need some inspiration from the street style. It’s the color of autumn that reminds us shedding of leaves and changing weathers. Khaki color takes its place in the street at NYFW. Showgoers demonstrate that how khaki color outfit styling should be in Spring 2019. More polka dots means more fashionable look. It’s like a motto to the style makers on the streets. It can be seen on almost every corner of the street at the New York Fashion Week. Polka dots are unusually used as a top to bottom outfit on the streets. Get that inspire from these amazing polka dot outfit looks. Is there any the best transitional dressing piece out there other than denim? I don’t think so, because this Fashion Week is proof of it. Wear your denim jacket on a trouser or make an ideal denim-on-denim look and be ready to rock the streets! Another outfit we come up with is the jumpsuit. Jumpsuit trend, which best reflects street style, gives a very stylish and popular appearance when combined with thought. Try to styling with trendy belt bags, sock booties, and fashionable colors, jumpsuits will be your favorite pieces in Spring 2019. The baby pink, one of the sweetest colors of all time, comes across us this year in New York Fashion Week Fall 2018. This week, when spring and fall trends are blended, baby pink is quite prominent. Every fashion lover, who is caught in the sweetness of baby pink, will be impatient to try this trend right now. I guess this is the fashion week I admire the most. A season where you can put all your classy forward is waiting for us. Where did I get this? It shouldn’t be too hard to say it’s the season to wear black and white top to bottom. During fashion week, we saw many inspirational outfits in black and white in harmony. There’s a lot of ideas that can be inspired by fashion icons to show your classy style in this spring season. Our favorite sneakers, which we don’t want to take out of our feet, in every season’s sine qua non. Sneakers are have seen as a lifestyle for some people and for others as just for fashion. 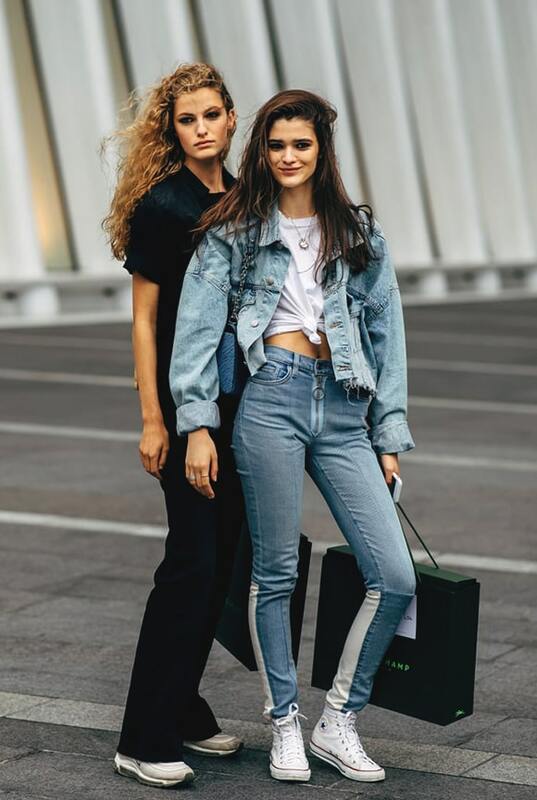 As New York Fashion Week street fashion shows us, sneakers can be worn under long skirts, sheer clothes, and track pants.